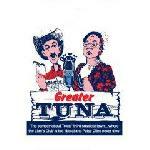 This week The Oklahoma Gazette�s Joe Wertz tours us through the 'third smallest town in Texas," as represented in the fictional play "Greater Tuna". There are more than 20 hilarious characters represented in the play... roles which are divided between the play�s sole acting pair, Jonathan Beck Reed and David Coffee. "Greater Tuna" is the first non-musical production hosted by the Lyric Theatre and is part of the group's "Lyric at the Plaza" series. Tickets and information are also available by calling (405) 524-9312.